Fighting frizz is something all curly-haired women have to deal with. But once the weather gets warmer, high humidity and scorching heat make the struggle even harder. We've put together a list of 5 products and tools to help you end your battle with frizzy hair. 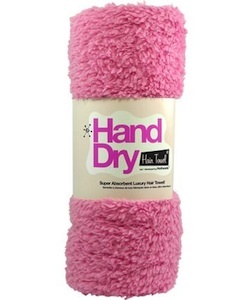 Avoid terrycloth towels, and use a microfiber towel like Hotheads Hand Dry Hair Towel instead. Microfiber towels not only reduce frizz but speed up drying time. Microfiber is a super-absorbent fabric that soaks up excess water. Microfiber does not disturb the cuticle – instead it smooths it down, reducing frizz. Anti-humectants are products that repel moisture and block out the frizz by preventing the intrusion of moisture into the hair in a humid environment. Additionally, products with anti-humectant capabilities coat, flatten and seal the external cuticle layer of the hair strands preventing frizz. 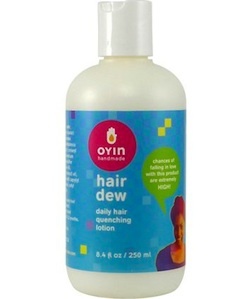 Oyin Handmade Hair Dew is a great, moisturizing anti-humectant. There’s no such thing as too much moisture when you are fighting frizz. Frizz happens when the strands of your hair lift up off your head and outward to quench their thirst from moisture in the air. The solution? Use a conditioner that will moisturize your hair while its weight keeps those fly-aways down. 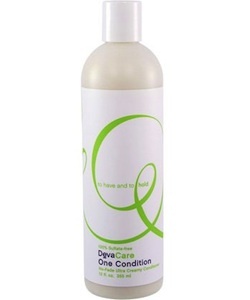 DevaCare One Condition is great for moisturizing and protecting your color. Say goodbye to glycerin! Find products that do not contain glycerin, which can dissolve and remove hair color from semi-permanent dyes or larger dye molecules such as reds. Glycerin, a humectant, can also cause or worsen dry hair in extremely dry climates, adding to the problem of frizz. 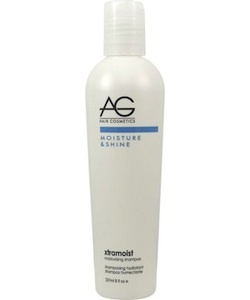 You can combat frizz from the start with AG Hair Cosmetics Xtramoist Moisturizing Shampoo. 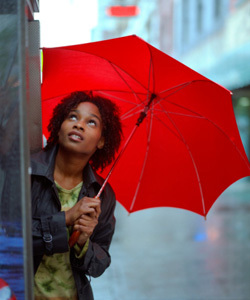 Check your Frizz Forecast daily. All you have to do is select your curl pattern, type in your zip code and your customized product recommendations by curl pattern and climate are delivered. We give you a list of solutions customized to your curl pattern to help you battle the climate and stop frizz once and for all!